It has been a journal, a microphone, a match-maker and a launch pad. It has helped me improve my writing, helped me learn a teeny tiny bit of HTML and served as an introduction to digital media. A Foreign Land has served me well for the last seven years. Through it I've met new friends and stayed connected to far-away loved ones. I've recounted adventures, made life lists and processed through tough times. So it is with a grateful heart that I say farewell to A Foreign Land. 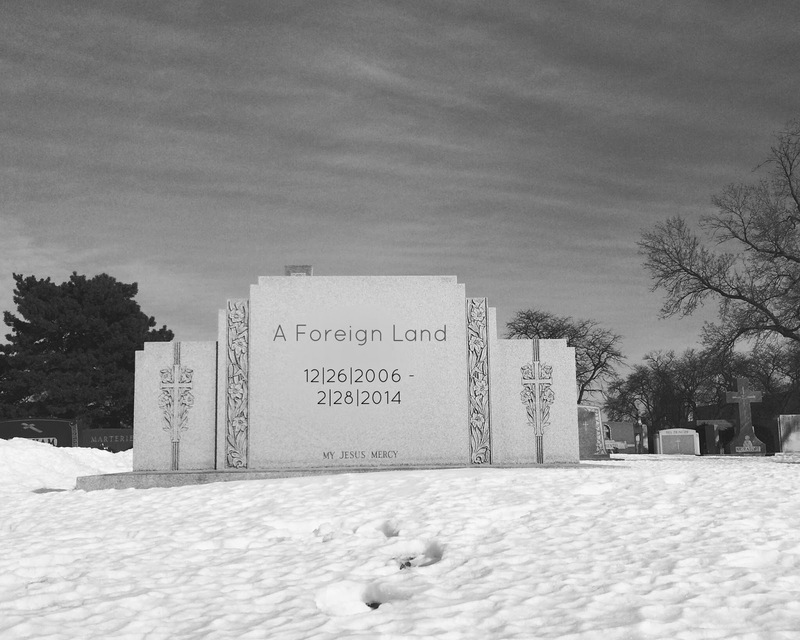 Thank you to everyone who took time to read, comment, share and support A Foreign Land. Undoubtedly, the community that this blog provided is the greatest treasure of them all. I am humbled and thankful for every follower, every comment and every individual who took a moment to read a post. I hope the end of A Foreign Land doesn't mean goodbye. Visit my new online home mollypg.com or let's keep in touch on twitter or instagram.